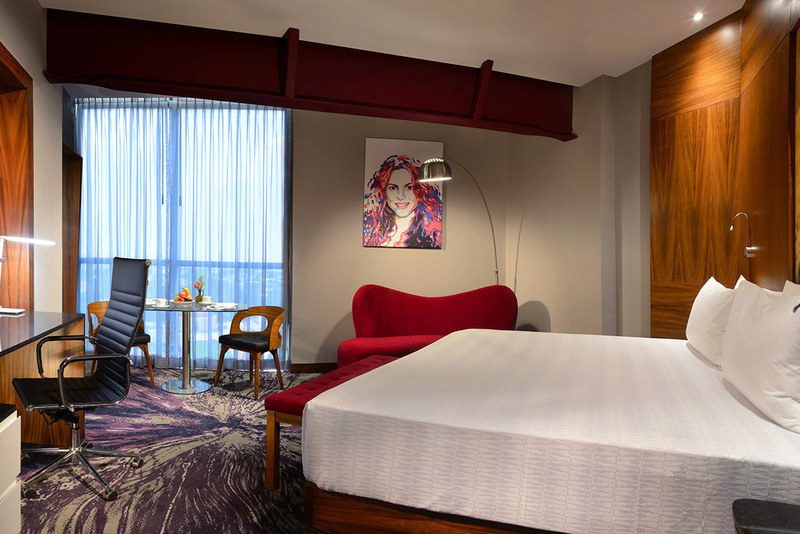 It doesn’t matter which stay you choose, our 349 smart rooms and suites will leave you feeling rested and recharged in style. With the touch of a button, you’ll set the lighting to match your mood, tune the temperature so the vibe is right, open the curtains for an epic view and order room service to fuel your next performance. We don’t take the celebrity treatment lightly. We go all out. Stretch out in your king size bed, close the curtains with a touch of a button and sleep like a rock with some of the most comfortable bedding ever. Or, order Room Service and really go all out. Choose a king bed, two double beds or two queen beds if you brought some band members with you. Treat yourself to a mini Rock Spa® experience in our oversized bathtub or shower. Relax like you mean it. Sleep Like A Rock bedding and Rock Spa® bath amenities. Go all the way up to the Rock Royalty Level and enjoy luxury rooms and exclusive amenities including your own private concierge service, VIP reception desk and backstage access to the lounge where you catch the best views of Guadalajara. VIP check-in with welcome drink and cold towel. VIP concierge services and assistance. Complimentary water and fruit bowl on arrival. Nightly in-room amenity from the Executive Chef. Nightly guest reception in Rock Royalty courtyard (wine, beer, canapes). Preferred reservations at Sessions Restaurant. 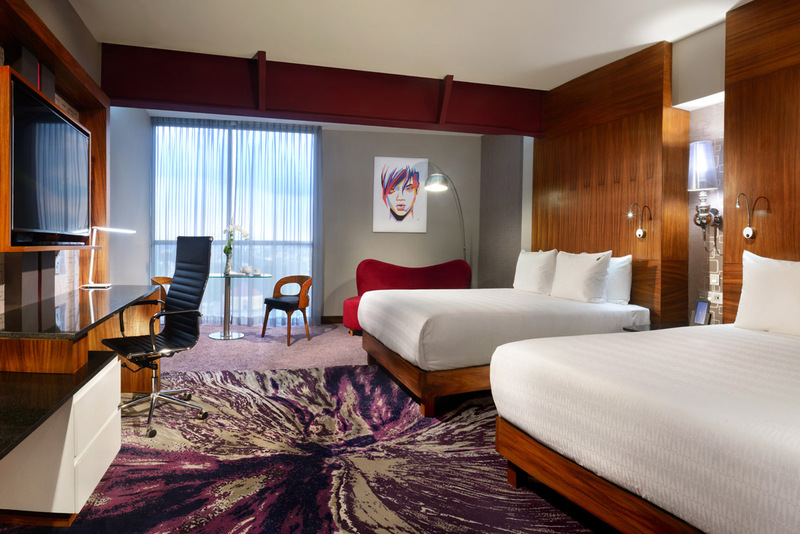 Sleep like royalty in a king size bed, surrounded by celebrity-style amenities from plush robes to Executive Chef treats. From the views to the towels to the VIP access, we’ve taken it to the next level. VIP check-in includes welcome drink and cold towel. Early check-in and late checkout (based on availability). Priority for Sound of Your Stay® program - Picks, Wax; Hard Rock Hotels exclusive in guest rooms programs. The Amplified Suite lives up to its name, modern and avant-garde, spacious and luxurious, and made for platinum artists, or anyone who wants to feel like one. The spacious Suite has its own separate bedroom, living area and the full star treatment with every epic amenity we offer. Priority for Sound of Your Stay® program - Picks, Wax; Hard Rock Hotels exclusive in guest rooms. Feel special in Hard Rock Hotel Guadalajara on our Musa floor, an especially designed floor for ladies who wants to feel more comfortable and cared for. Hard Rock has amplified the in-room listening experience with a carefully curated collection of 10 iconic records chosen by Hard Rock’s team of music experts. A Crosley turntable will keep the records spinning as guests find their groove at their leisure. Ready for a jam session? 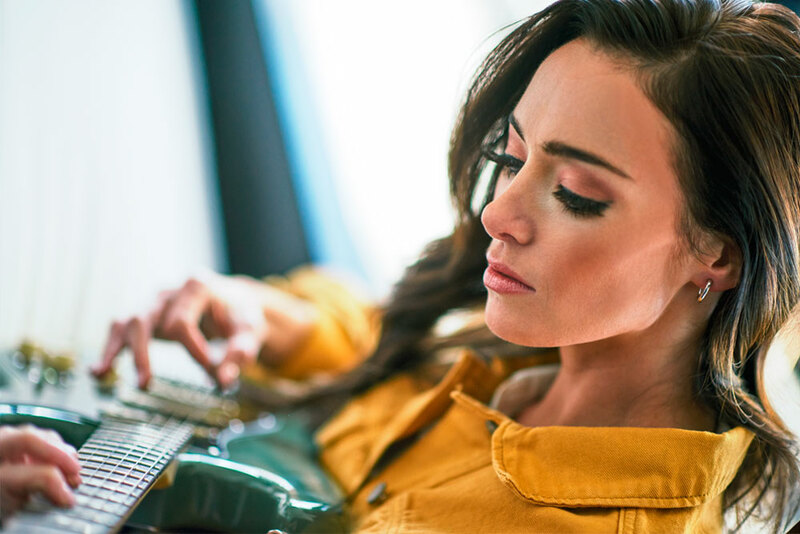 Reserve your choice of one of our Fender® guitars, which come with headphones and a Fender® Mustang floor amplifier, to create a pop-up studio right in your own guest room. 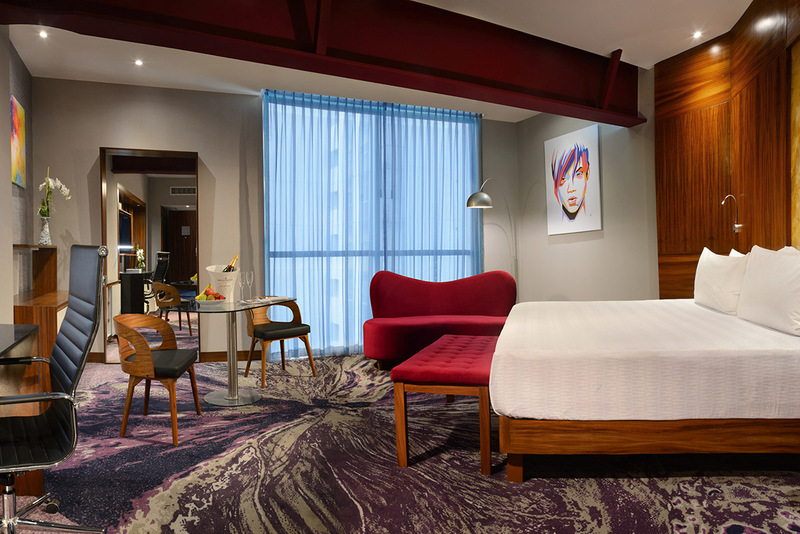 Download expertly curated music playlists to amplify your Hard Rock Hotel stay. Listen to songs from artists you know and love, and experience upcoming musicians on the cutting edge. Where will the music take you?. Copyright © , Administradora de Hoteles de México IG S.A. de C.V.